Shatter resistance is a key feature to look for when purchasing any interactive flat panel display (IFPD). The classroom can be a rambunctious place where messes and accidents are inevitable. Shatter resistance is imperative as it not only provides a sturdy defense against lively students, but is also the safest option in preventing harm from coming to your students in the unfortunate event your CenterStage breaks. Shatter resistance is a feature created for the safety of end-users like you. In short, it reduces the hazards of shattering glass and improves the quality, durability and lifespan of your product. 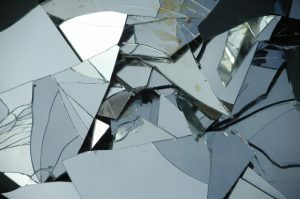 In the event the glass is severely damaged, instead of dangerously shattering into shards, it forces the glass to break into small, granular particles. 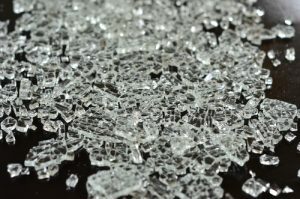 This eliminates the hazard of serious injury due to the glass breaking into minute, dull fragments instead of large, jagged shards. Tempered glass is the key to shatter resistance. This process of heating up glass to extreme temperatures then rapidly cooling it, toughens the glass to prevent breakage while also protecting electronic equipment inside. 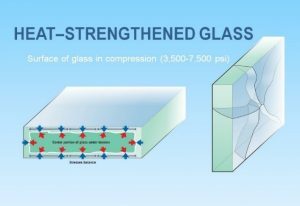 Tempered glass is a mixture of compression and tension caused by the thermal process, the outer surface becomes compressed from the rapid cooling while the interior is pulled with tension – developing a dynamic balance that fortifies the glasses strength. 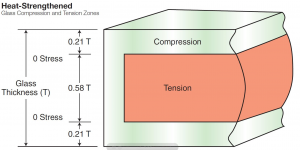 The compressive stress on the outer layer of glass decreases the size of the glass particles, which prevents the glass from forming large, jagged pieces upon breakage. To insure the physical integrity of the glass, pieces are cut prior to tempering. For example, to create an 86” television, the 86” slab of glass would be cut and shaped prior to the tempering process. “Annealed” glass is the classic glass that breaks into jagged shards. Annealed glass has microscopic cracks on the surface with no internal stress to balance against externally applied pressure. 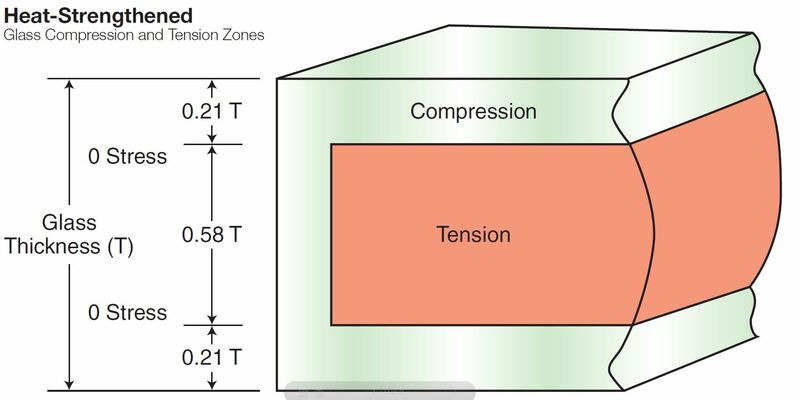 Any added pressure to the surface exponentially magnifies the surface cracks, thus causing them to spread (at the speed of sound) and shatter into large slabs. This spread is what causes shattering, tempering glass prevents this issue altogether. Tempered glass versus annealed glass when broken. The HoverCam CenterStage series uses tempered, shatter-resistance glass to avoid these harmful, irreparable damages. When choosing a HoverCam CenterStage you can rest assured that your product is safe and all necessary preventative measures have been taken to guarantee the longevity of your product and the safety of your students! For more information or tutorials follow us on social media!